Well, what a year it has been for The Tanya’s Courage Trust! So this year we have had birthday parties raising funds for TCT, store collections, formed the Here 4 U Support Group, started our annual Purple Day, had four runners in the Brighton Marathon, hosted our first ever Baby Fair, collected on the roadside at Holmbush, equipped and decorated a room on Lowen Ward, our Patron James Morrison opened our room and spent the afternoon with our beneficiaries, hosted our 3rd Dog Show at Griggs, received support from The Central at Newquay, received a grant from HRH Prince of Wales Duke of Cornwall, received a donation of a selection of handmade handbags from Kernow Quilters, enrolled onto the Macmillan Cancer Support course, were the beneficiaries for The Proms at the Keay Theatre, employed our new Manager for our Penzance shop, built a relationship with Kernow Trek Lodge, received support from Padstow Girl Guides, and much much more. WOW!!!! It really has been such a fantastic year for TCT and we couldn’t do it without our amazing local community and our fantastic team of volunteers. Thank you to everyone who has supported us this past year, and we look forward to another highly successful year in 2013. 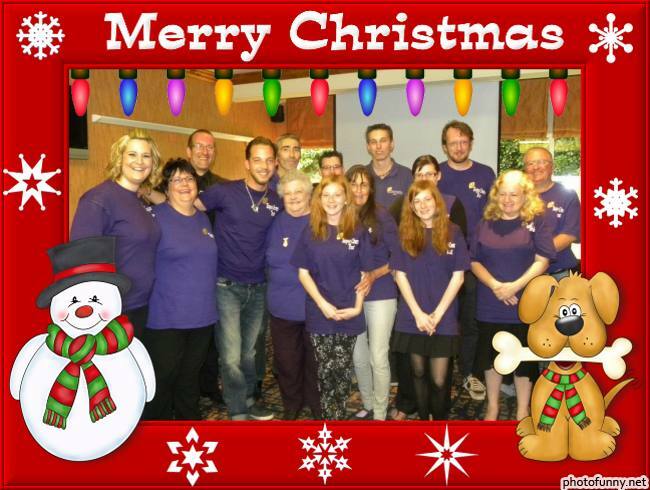 Have a wonderful Christmas and a very Happy New Year, from all of us at Tanya’s Courage Trust.